Anxiety represents our body’s natural alarm system, signalling the possibility of danger. When this response arises too frequently or intensely and doesn’t match actual situations of danger, it can interfere with life and cause great distress. While every person experiences anxiety, it is estimated that over a quarter of the population will experience anxiety at levels that cause distress in their lives. 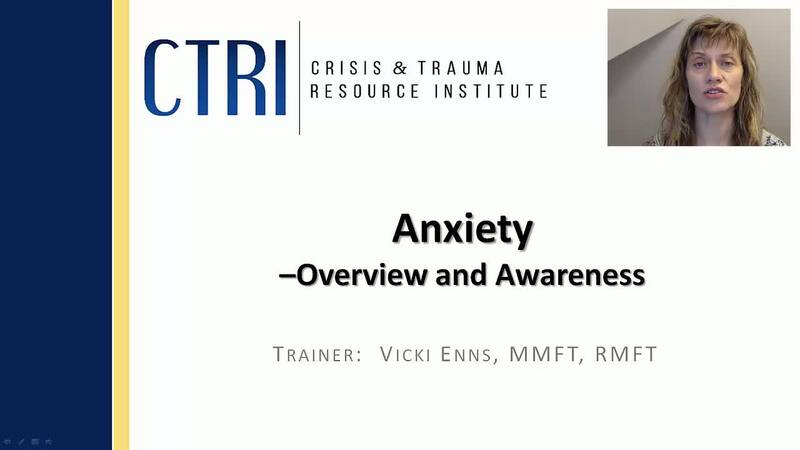 This webinar will explore when anxiety is adaptive and in order, compared to when it becomes disordered. SKU: 125. Category: CTRI Webinars.